Working on a piping template / shapes myself I came across these a while ago. They’re nice indeed, though for real piping drawing I feel they might be a bit limited as far as shapes go. If you have a simple drawing, you can make some amazing drawings to show off during presentations etc. that’s for sure! So what do you think is missing, actual types of shapes — more equipment — or the behavior of the shapes? Your endorsment made me give it another try. The instructions are hard to understand. And two years ago I was not so good in Visio. I am a plumber, and I must say there is a lot missing. Like a motor, a three-way valve. If anyone is interested, I can look what shapes would be needed compared to the European drawing regulations. I even think that Isometric drawing would merit a chapter in the forum. Well, yes, I left that good old religion (the Microsoft forum) for a better one with attachments. Thanks for the comments Philippe! There was some discussion in the forum about isometric shapes, so I wanted to show people what could be done with Visio. I wonder how many people in the world could use a full set of shapes for isometric piping? And how many of them would much rather do their layouts in Visio? 3. Add-on code could provide a nicer selection interface for choosing views. For instance, an elbow-joint could have twelve views, which might be a bit unwieldy for the right-click menu. Code could also help with the font setup and selection, if it’s too much for the ShapeSheet. hey there, i just want to know where i can get the shapes shown at the top? There’s a link to the page that has the shapes in the article! i,m fitter to piping .please send .. isometric piping my email address. thank u.
I have been using these shapes for years and have made some additions where required ie slip-plates, pumps. What I have found is how flexible they are. For me they are ace and one of the most useful stencils conceived. 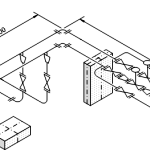 I’ve seen some examples of iso drawings in your website and wonder where can i get some of the process equipment and accessories used on those drawings. Can you point me in the right direction? Thanks. I think that this article has the links for the iso shapes you’ve seen! 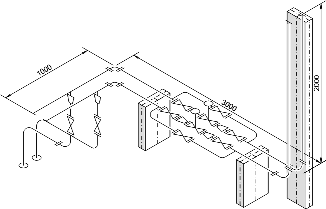 I have tons of plan view plumbing schematics… the detail provided from a Visio drawing is something that the guys constructing it have never seen & amazingly, it reduces their time on the job. Is there the ability to draw in plan view, assign depth, and then have a 3d/iso drawing rendered? VG, gimme sumthing like DAT! In my case I have a data broker system with data feeds in, out, various translations (JMS topics, MQ msg, SFTP and web services, firewalls (from your PDF think a translucent verticl wall), VPN tunnels (literally), multiple servers etc – gonna have some fun making this come to fruition…..if I can. This may be a daft question but how do I scale these? They are great but when I select all the shapes and try to fit it to a page, the lines re size, but the shapes do not. I am using Visio 2003 and have looked at loads of setting and cannot figure it out!?!?!? Please help so I can used this great tool! Sometimes the intelligence built in to Visio shapes that makes them easier to use makes them harder to scale. It might be better if you play with the paper size. You can make the page bigger, but then “fit to 1 page” when you print. 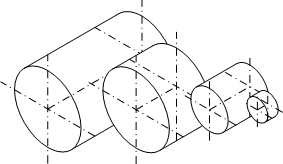 Is this a 3-d program that I can use to draw plumbing isometrics. If so were can I get the download? No Visio is a 2D program, but it features “SmartShapes” which can behave in interesting ways – they aren’t just symbol libraries of dumb clip-art. Junichi Yoda built a clever set of Visio SmartShapes that make creating isometric piping diagrams easier (in a 2D program). I just sent Junichi an e-mail, let’s see if he’s moved them somewhere. In the mean time, his Japan-geocities site seems to be working just fine: Cool Visio Stuff from Junichi Yoda. But the piping stuff was on regular Geocities, which I heard Is No More. 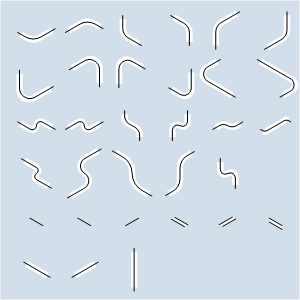 Here’s the Japanese mirror site: Visio shapes and stencil for piping isometrics. I’ve also edited the links in the article as well. Me too – what Ed said. Site points to Geocites which isn’t there anymore. I’ve found a new link that seems to work and have edited it back up in the post. “Template and 2 stencils(505KB Zip File)” has the shapes, a template, and also includes the isometric fonts. I’m having trouble with these shapes…the pipes and elbows work fine, but valves, flanges, reducers etc. don’t appear on the drawing. There appears to be an object, it just doesn’t look like anything. Anyone have these problems? I’m using Visio 2007 Standard. I am looking for municipal water line pipe template shapes, valves, elbows, flange fittings etc… Anyone who designs or installs these type of projects would understand what I am looking for. I just can’t seem to find any of this stuff for visio. Is there anything out there you can point me to free or fee? Thanks. would you plz tell me where to find free visio shapes for water treatment? Ok, I’ve sent a message to the creator of these shapes to see if they’ve moved somewhere new. Good news! The link has been updated to the new location. I just downloaded the Isometric piping shapes. Most of the shapes are working fine, however, when I try to edit the fill of the variable rectangle or square I get the following error. “An error (1) occurred during the action Fill Properties. Unexpected end of File.” The cylinders are working fine. No idea what’s causing this. I think those shapes were created in Visio 3.0, so maybe they’re starting to get weird. You can edit each face by sub-selecting shapes, however. 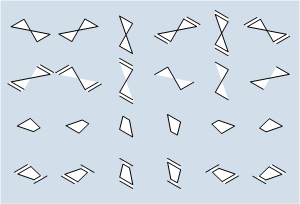 These shapes are groups and have several sub-shapes inside. When the sub-shapes are selected, they have their outlines turned off, so the user-experience is odd, but it works. 1. Select a Variable Rectangle shape. 2. Click again on one of the faces. All handles disappear, but you’ve sub-selected a shape. 3. Select a new fill color. Just the face that you clicked on changes. 4. Click a blank area of the page, then click the shape again to select the whole group. Sorry, but I can not find the link on the japanese website to download and install the isometric fonts package. Can anybody help me, please! I found the fonts by doing this. 1. Click link in article above. 3. There is a table on the page. Look for: “With Slant Fonts for Visio2000 and 2002 and Continuous Numbers”. There is a large zip to download: “Template and 2 stencils(434KB Zip File)”. This contains the isometric fonts. Thanks for this nice and util stencils, it is just I was looking for! Junichi Yoda (the creator of these shapes) makes some truly incredible things with Visio. He’s posted many wonderful items in the Visio Guy Forum. Look for posts from JuneTheSecond. Hi, I can’t use the dimensions in Visio 2010. Does anyone have a solutions? 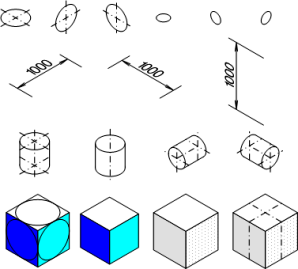 Great stencils..
Can you describe what happens with the dimensions in Visio 2010? I’m a dork. I used Visio a while back and remember double clicking to add labels. Not sure if this is true, but I remembered it that way. I just realized you just select the shape and type. There never was a problem. Cool stencils! A lot of shapes have double-click to edit text, but it’s not 100%. You can even set it for shapes using the Format > Behavior dialog. Of course, select-and-type works too, as you’ve discovered. But if you want to edit existing text, this doesn’t work, since it overwrites everything. In that case, I hit F2 to get into text-edit mode. The Text tool does the same thing, but I find F2 to be faster. I was wondering if anyone is having any trouble with the dimension stencils, namely the fonts changing from the isometric fonts? For some reason, the fonts change when I place the stencil in the drawing. I have reinstalled the IsomeLeft, IsomeRight, and Protest TTF files, but cannot get Visio to utilize them. They do work within other Office applications (Word, Excel). I am using Visio 2007, with Yoda’s stencils. Ive been using these iso shapes for quite a while and find them very useful. However sometimes I need to re-size these shapes as can be done in Visio itself. Any advise on how to do it would be appreciated. 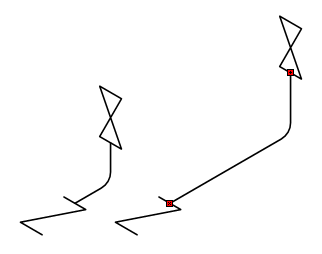 The stencils have the isometric angles but are not rounded like they are in the sample drawing. I made a new stencil based of the sample. Now if somebody can make actual pipes (like emt) then we’d be cooking. Would it be possible to forward the files to me by email please? %400. what do you think is wrong?